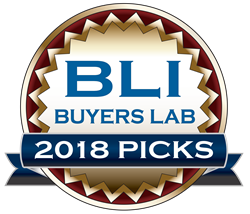 Keypoint Intelligence - Buyers Lab (BLI) announces the winners of its coveted Winter 2018 Pick awards in the Monochrome Printer and MFP categories. Keypoint Intelligence - Buyers Lab (BLI), the world’s leading independent provider of testing services and analytical information to the document imaging industry, announces the winners of its coveted Winter 2018 Pick awards in the Monochrome Printer and MFP categories, with the honors going to stellar devices from HP, Kyocera, Samsung, and Xerox. Awarded twice annually, Picks acknowledge the products that gave the best performances in BLI’s extensive suite of lab tests in the previous six months. *Not all products are sold in all regions. Stay tuned for the announcements of more prestigious awards!